As agents of change in the association world, part of our responsibility lies in recognizing the opportunity for change. But sometimes we can get so caught up in doing the association work that we lose an awareness of our organization, our leadership teams, and even our own day-to-day tasks. How can we pull ourselves out of the weeds, so to speak, and consider again the big picture? To find the big picture, I like to start with asking big questions. Here are 5 “big picture” questions you can ask today to help reveal opportunities for change and identify the best approach to facilitate that growth. How do you stay relevant to the changing needs of our members? The Race for Relevance gives five high impact ideas to implement in your association. Are we using research appropriately? Research is one of the best ways to make informed decisions about changes in your organization, but is research always the right step to take? Learn four ways to help determine if it’s time to move on from research. Is the strategic plan being accomplished? Do we make decisions in a timely manner? Is your leadership able to make well-informed decisions quickly and concisely? If not, they can be. Learn how to provide board members and other leaders with effective tools for nimble decision making. How well do we handle criticism? How we respond to criticism shows our character as individuals and as an organization. 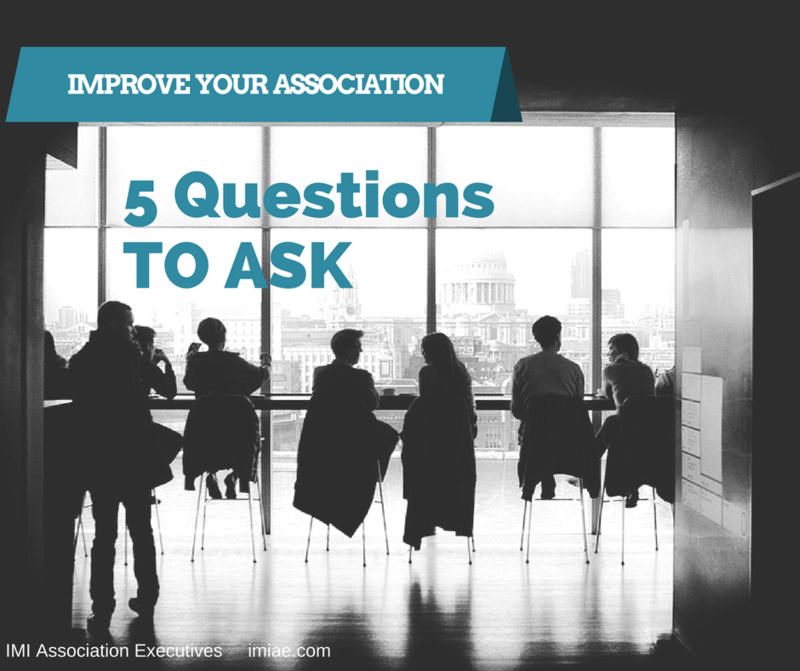 In associations, we receive feedback from a variety of sources including fellow association staff, board members, volunteers, and members of the association. Are you prepared for how to respond? A few, simple strategies for responding to criticism can make a big difference in how you present yourself to others. Next PostNext Why Pay for Non-Profit Staff?